Simple, natural and endlessly versatile, our Cotton Calico fabric is a dream to work with. 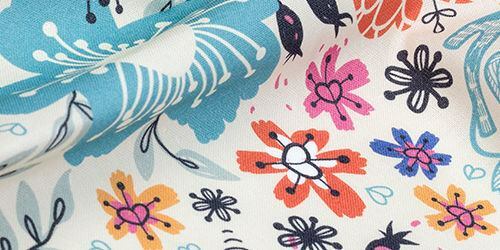 This light fabric is perfect for printing summery floral patterns, and would make a beautiful cotton calico dress or amazing calico curtains. 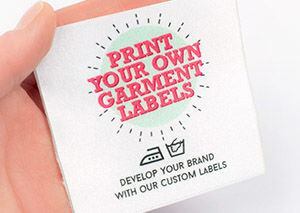 Order a custom printed sample today, and see the results for yourself! 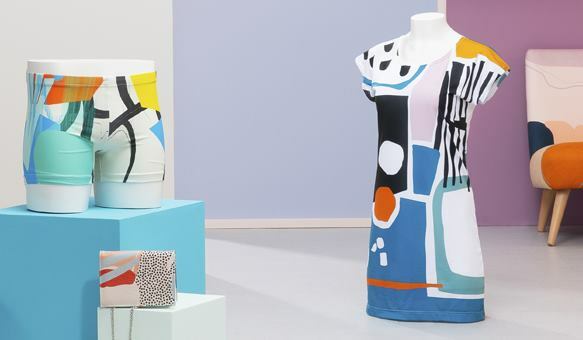 Our Calico fabric is made from 100% cotton, and custom printed for you. 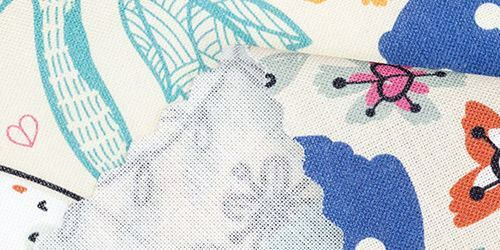 The perfect fabric choice for summer shirts, calico dresses and small embroidery projects. 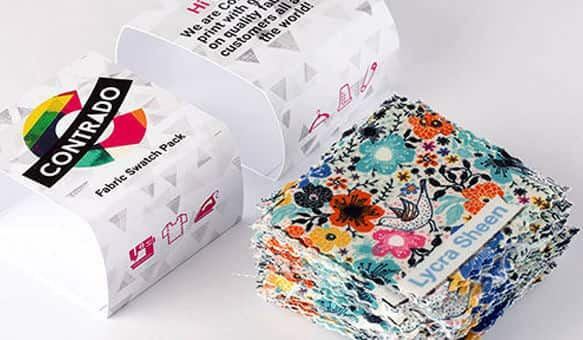 Why not order a printed sample and see the wonderful results for yourself. Tightly woven, this Calico fabric is firm and taut. The cotton is bleached to a strong, paper-white base tone with slight variations in the natural fiber creating a subtle visible pattern in the cloth. The handle is warm, very dry and slightly starched; though it softens quickly with wear. White Calico fabric has long been a favorite base for printed patterns, and with our Cotton Calico you can see why! This tightly woven natural cotton produces a soft, slightly muted print with warm undertones. Details are clear, but the visible cloth pattern adds authentic charm. Brighter colors will be more subtle due to the natural cotton fibers. 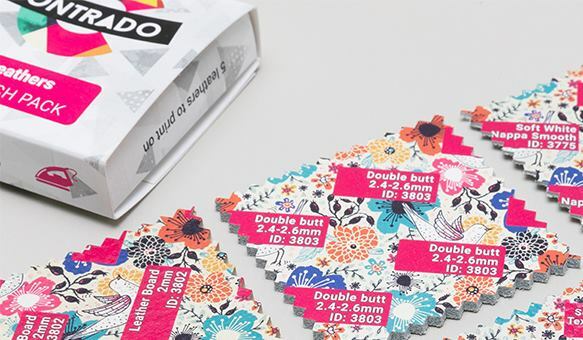 This fabric’s lack of stretch and beautiful print quality make it an ideal choice for quilting. Calico's gentle-yet-hard wearing nature also makes it a favorite material for traditional rag dolls or other small bespoke sewing and embroidery projects. Customer for life! We ordered a sample of custom printed satin and the quality is amazing. The image is perfectly printed on the fabric. 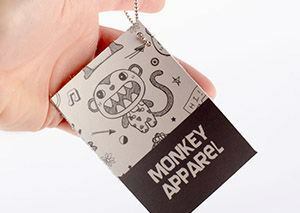 We can’t wait to place the first full order! Calico material is a simple plain-weave cotton fabric. Unbleached, raw Cotton Calicos are often used for making toiles and dress prototypes. 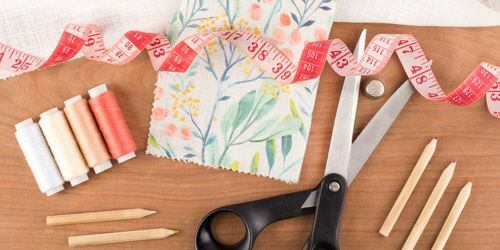 Inexpensive and simple, Calico has always been a favorite for creating fabric prints and homely designs like aprons, quilts and house dresses. Where does the name Calico come from? Calico is one of the oldest fabrics around the world and is named after the city of Calicut, in Kerala, India, where it originated. Block printed fabrics were exported from India as early as 1630 and known as “Calicuts”, and “Calico” was soon used to refer to any Indian plain-weave cotton. 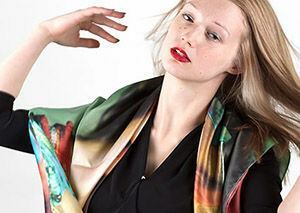 Today, Calico remains one of the most popular fabrics for simple printed fabrics. What other Cotton fabrics do you have? We have a wide range of other cotton fabrics for you to choose from. 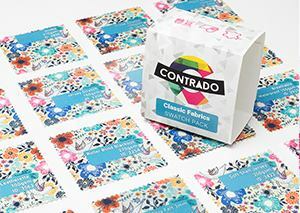 Our Vintage Fade Polycotton has a faded, desaturated print quality. Or, if you’re looking to make a more figure-hugging outfit, try our Bounce Cotton Jersey, which is blended with just a little Elastane.